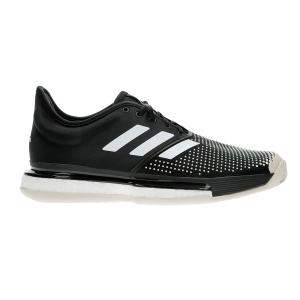 Choose your new men's Adidas tennis shoes among the hundreds of models available in the vast assortment online. 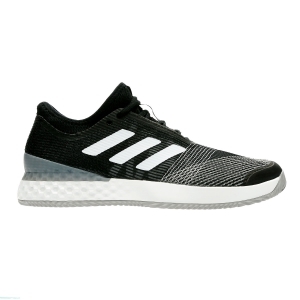 Three side bands, original lines, colors designed for every single tournament: these are the characteristics that distinguish the adidas men's tennis shoes. All models are built with numerous technological devices that make them perfect from every point of view. 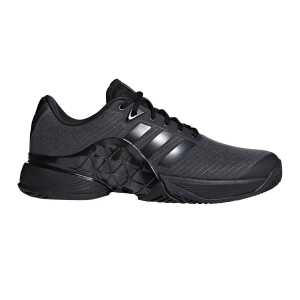 Maximum impact cushioning, increased heel protection from bumps, reduced abrasion, improved comfort: men's adidas tennis shoes have all this, and much more. On Mister Tennis the latest news, best-sellers are always available, and if you like to dress like a real champion, you can also find the Sascha Zverev adidas sneakers, try them out and get ready to take the court! All adidas tennis shoes that you see on the site are available in stock and ready to be shipped after a few hours. You will be surprised by the speed with which we process your order, delivering it to your home or to the address you indicated in 3/4 days. Practically after your last click you may already start to warm up. And if you are not satisfied? Request the return, it is free! Your satisfaction for us is everything. 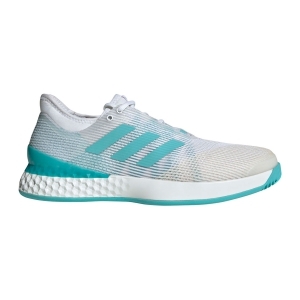 You have a good two weeks to evaluate your new pair of adidas tennis shoes and if they are not to your liking you can return it for free within 14 days from the date of receipt. The courier will come to your home to collect your return and after receiving the tennis shoes and verified, we will refund the full amount.